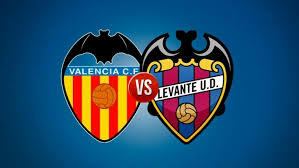 Valencia hosts Levante in a clash from the 32th round of the Spanish La Liga. Here are our thoughts about this fixture at the Estadio Mestalla on Sunday evening. Valencia are still chasing a Top 4 finish in La Liga and another qualification for the Champions League. Right now Los Che are 6th in the league with 46 points, being just 4 points behind the 4th Getafe. If Marcelino’s team makes a strong final run in the last rounds of the league, they have a very good chance to finish 4th. For them it would be a second consecutive qualification for the Champions League. In their last five games Valencia won three times, made one draw and suffered one defeat. This loss came in the previous round of the league, when Los Che were beaten with 0-2 by the struggling Rayo Vallecano. It was a surprising result, which proved that you shall never underrestimate any team. During the week Valencia had a game in Europa League against Villarreal, so maybe the manager Marcelino will make some changes in his starting line-up. In the same time Levante are 15th in La Liga with 33 points won until this moment. They have a record of 8 wins, 9 draws and 14 defeats in the matches played so far. In their last five games Levante are without a win – three draws and two defeats. In their last game Paco Lopez’ boys made a 2-2 draw during the home match against Huesca. Roger Marti and Jose Luis Morales scored for Levante, but these two goals were not enough to win against Huesca. These are our thoughts about the La Liga fixture between Valencia and Levante on Sunday night. This is a local derby of Valencia, so we expect these two teams to show some serious passion.